Konark, located 65 km from the capital city of Bhubaneswar, is a beautiful town of stunning monuments and scenic beauty. Set against the bewitching coastline of the Bay of Bengal, this small town holds some of the most marvellous architectural majesties of India. Konark showcases the essence of Odisha’s temple architecture. The beauty of Konark is crafted in stone and has been described as a place where the language of stone defeats the language of man. The splendid monuments in Konark are also famous for their religious significance. Konark tourism presents a multitude of attractions that fascinate tourists from all over the world. The town is famous for its masterpiece architecture of the Sun Temple. In fact, the name Konark is derived from the Sanskrit words Kona, which means “angle”, and Arka, which means “sun”, in reference to the marvellous temple dedicated to the sun god, Surya. The Sun Temple complex also houses shrines, such as the Mayadevi Temple and Vaishnava Temple, which are popular among visitors. One can enjoy the enchanting beauty of several of the famous temples of Konark. Ramachandi Temple, dedicated to the presiding deity of Konark, Ramachandi, is a famous tourist destination. Kuruma, the abandoned Buddhist monastery holds special attraction for its excavated statue of Buddha in an amazing position. The Kakatpur Mangala Temple, situated on the bank of river Prachi, attracts tourists to the celebration of the popular festival of Jhamu Yatra. The Barahi Temple at Chaurasi is famous for its unique idol of Mother Goddess. The panoramic view of the horizon at Astaranga during sunset is a sight to behold. The Konark Math is also a well-known tourist destination. Apart from the grand monuments and the religious attractions, Konark also has the enchanting Chandrabhaga Sea Beach to entice the tourists. The Archaeological Survey of India Museum also holds great attraction for the tourists. It has an exceptional collection of several remnants gathered from the Sun Temple complex. Konark tourism offers an amazing experience of a place where the present blends harmoniously with the past. While the historic monuments and centuries-old temple architectures can take your breath away, the sea beach and the vibrant social life of Konark can keep you attracted to the place. Konark is truly a tourist’s delight. The vibrant town draws tourists from all over the world due to its celebrated festivals. The Konark Dance Festival, held every year from 1st to 5th December, is one of the most famous classical dance festivals of the country. It presents a delightful ecstasy of the ancient classical dance forms like Odissi, Bharatnatyam, Kathak, Kuchipudi, Manipuri and the local Chhau dance. The Crafts Mela is a big attraction of Konark tourism. Foodies can enjoy a great time relishing mouthwatering cuisines. Another festival extensively celebrated at Konark is the Magha Saptami Mela or the Chandrabhaga Mela, observed during the month of February. Shopping in Konark is a pleasant activity. The colourful cottage industry of Konark offers canopies decorated with applique work, applique bags and umbrellas as souvenirs and mementos. Various images of Hindu gods, decorative items crafted in wood, stone and horn and patta paintings are other popular items to shop for. 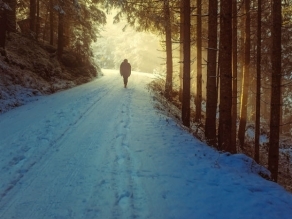 The best time to travel to Konark is from the months of October to March, when the winter temperature remains pleasant for sightseeing. 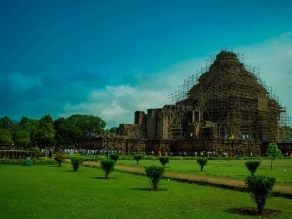 Being a prominent tourist destination, Konark is well connected through air, rail and road networks. The Bhubaneswar airport serves as the entry point for travellers coming through flights. The railway stations at Puri and Bhubaneswar and the road networks offer extensive connectivity to Konark from several large and small towns and cities of the country. 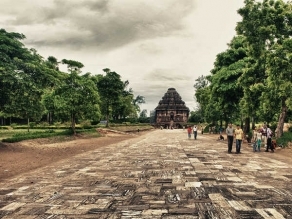 Konark is well connected by road to major towns and cities in Odisha. An extensive road network connects Konark to the rest of the country via national highways. The State highways link it with prominent cities of the neighbouring states. Buses, private vehicles on hire and taxis are the common modes of communication through the road network. The nearest railway stations to Konark are located at Puri and in Bhubaneswar. Both the bustling railway stations are well linked to almost all the major cities and towns in India through regular trains. Konark can be easily reached from these railway stations through taxis and buses that are available. The nearest airport to Konark is the Bhubaneswar airport. This prominent airport is well linked to all major parts of the country through a number of flights. Flights from several cities of the country, i.e. Kolkata, Delhi, Hyderabad, and Chennai ply on a regular basis to and from this airport.